Need a commercial locksmith in Sandy Springs, GA? Call us now as we offer expert business locksmith services in Sandy Springs, GA and nearby cities. At GreenPro Locksmith, we provide commercial locksmith and business locksmith service. Our company value the time and energy that goes into situations caused by locks and security of commercial buildings and businesses. At GreenPro Locksmith, we ensure efficiency for residents of Sandy Springs when you subscribe to our commercial locksmith in Sandy Springs and business locksmith services. Our services are delivered in an exceptional and efficient way that leaves our customers satisfied. It may be hard for business owners and residents of Sandy Springs to find a reliable and trustworthy commercial locksmith in Sandy Springs. Therefore, at GreenPro LockSmith, we are dedicated to the protection and security of our customers and the efficiency of the services we provide. Call and schedule GreenPro Locksmith for a commercial locksmith in Sandy Springs today! At GreenPro Locksmith, we provide residents of Sandy Springs a variety of commercial or business locksmith and building lockout services including the installation of master key systems, rekeying locks, repair and replace doorknobs, mail box locks/repairs, ADA compliance, safety and exit devise, electronic access control, and much more. When you call a locksmith company to provide these services, you must make sure the company you choose is insured and certified in providing locksmith services. At GreenPro Locksmith, not only are we known for providing locksmith and building lockout services, but we specialize in the installation of specialized security locks and the repair and replacement of security devices. If you are a business owner and you are changing locks and keys of a building, it is important that you call GreenPro Locksmith for assistance in the replacement and installation of new locks and security for any large commercial or business building you are planning to run. Some business owners may also require high-quality security for sensitive and confidential files. With GreenPro Locksmith, we can make it our mission to install more high-tech locks on any file cabinets and drawers in your building to ensure the security of your business documents. Not only are we the top commercial locksmiths in Sandy Springs, we have locations in Atlanta, Roswell, Chamblee, Dunwoody, Brookhaven, Lawrenceville, Norcross, Tucker, Smyrna and other surrounding areas in Georgia. You should choose GreenPro Locksmith as your go-to locksmith service because we guarantee security and protection in any commercial or business buildings. The security we provide with our insured and certified locksmith service, specialized security locks, and high-quality security devices help building owners, business owners, clients, and employees feel safe working in the building or working with any company with sensitive files. Our high-quality security devices can keep an eye on the entire building to maximize security on your property and any activities occurring in the building, while our specialized security locks can maximize security on business documents and files. 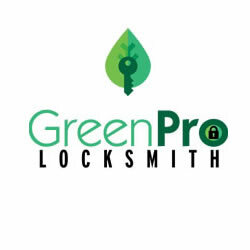 If you are interested in any of our locksmith businesses, call GreenPro Locksmith for scheduling today!